Every few years, there seems to be a new team that every fan base collectively hates. This time around, it’s the Golden State Warriors. Fresh off winning their third title in four years, it was finally time for the champs to select their newest player. 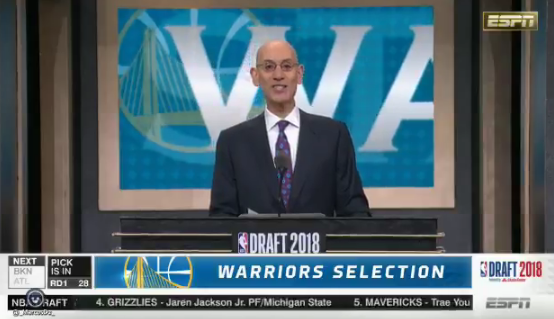 Once Adam Silver made his way to the podium to announce their pick, the boo birds had already started. The crowd got so loud with boos that even the commissioner had to laugh at it.